Icon Trading Corporation, Kolkata,India Offering Baltur burners and Spare Parts like Baltur burner diffuser plate, Baltur burner nozzle, Baltur burner photocell, Baltur burner UV cell, Baltur burner PE cell, Baltur burner solenoid valve, Baltur burner blast tube, Baltur burner nozzle pipe, Baltur burner pump, suntec oil pump, Baltur burner sequence controller, Baltur burner control box, Baltur burner motor, Baltur burner blower fan, Baltur burner hose pipe, Baltur burner ignition transformer, Baltur burner ignition electrode, Baltur gas burner dungs multiblock, Baltur burner nozzle holder, Baltur burner cable connector, Baltur burner gas pressure switch, Baltur burner air pressure switches. BTL Single-stage light oil burners.Thermal output from 16,6 to 310 kW. BTL P Two-stage light oil burners.Thermal output from 26 to 310 kW. TBL P Two-stage light oil burners.Thermal output from 160 to 2100 kW. SPARK DSG Two-stage light oil burners.Thermal output from 178 to 391 kW. BT N Single-stage heavy oil burners.Thermal output from 55 to 245 kW. BT SPN Two-stage pressure drop heavy oil burners.Thermal output from 89 to 390 kW. BT DSNM-D Two-stage heavy oil burners.Thermal output from 446 to 3907 kW. SPARKGAS Single-stage gas-fired burners..Thermal output from 60 to 358 kW. TBG Low NOx single-stage gas-fired burners..Thermal output from 80 to 600 kW. TBG P Two-stage gas-fired burners..Thermal output from 80 to 2100 kW. BTG ME Two-stage progressive gas-fired burners, electronic modulating control..Thermal output from 50 to 280 kW. 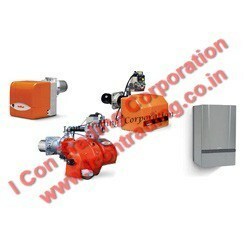 Icon Trading Corporation, Kolkata,India,Offering Baltur burners and Spare Parts like Baltur burner diffuser plate, Baltur burner nozzle, Baltur burner photocell, Baltur burner UV cell, Baltur burner PE cell, Baltur burner solenoid valve, Baltur burner blast tube, Baltur burner nozzle pipe, Baltur burner pump, suntec oil pump, Baltur burner sequence controller, Baltur burner control box, Baltur burner motor, Baltur burner blower fan, Baltur burner hose pipe, Baltur burner ignition transformer, Baltur burner ignition electrode, Baltur gas burner dungs multiblock, Baltur burner nozzle holder, Baltur burner cable connector, Baltur burner servo motor, Baltur burner gas pressure switch, Baltur burner air pressure switch, Baltur burner solenoid valves. 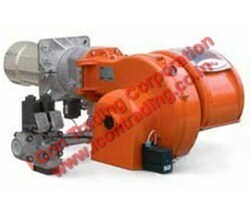 Owing to our wide expertise in this domain, we are recognized as major supplier and trader of Baltur Burners Spares. Our offered products owing to their high robustness and excellent functionality are widely used in various industrial burning processes. We procure these products from our trusted vendor in varied specifications for serving diverse needs of customers. Furthermore, we have gained vast clientele base by supplying these products at market leading rates. We have full devout in supplying and trading superior quality Baltur Light Oil Burners. These burners are known among our clients for their high compatibility, effective mechanical atomisation of fuel and precise control panels. The procurement of these products are done from worlds' renowned vendor, who fabricates them in compliance with latest industrial norms in different stipulations. Light in weight, these are offered to customers at affordable price tags. BTLSingle-stage light oil burners.Thermal output from 16,6 to 310 kW. BTL PTwo-stage light oil burners.Thermal output from 26 to 310 kW. TBL PTwo-stage light oil burners.Thermal output from 160 to 2100 kW. SPARK DSGTwo-stage light oil burners.Thermal output from 178 to 391 kW. 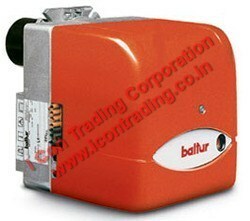 Owing to our wide expertise, we are involved in supplying and trading premium quality Baltur Heavy Oil Burners. Our offered burners have extensive use in industrial burning applications, owing to their high accuracy and precises regulation of air and fuel ratio for maintaining optimal combustion rate. With the procurement being done from trusted vendors, these are available with in diverse stipulations for catering varied needs of customers. SPARKGASSingle-stage gas-fired burners..Thermal output from 60 to 358 kW. TBGLow NOx single-stage gas-fired burners..Thermal output from 80 to 600 kW. TBG PTwo-stage gas-fired burners..Thermal output from 80 to 2100 kW. BTG METwo-stage progressive gas-fired burners, electronic modulating control..Thermal output from 50 to 280 kW. Backed by diligent personnel, we are engaged in supplying and trading superior quality Baltur Gas Burners. These products are well reckoned among our clients for their high blowing efficiency, easy controls and high performance centrifugal fan. We procure these burners from reliable vendors, who manufactures these burners as per latest industrial norms in varied designs. In addition to this, we supply these burners to our customers in tamper proof packaging at nominal price range. 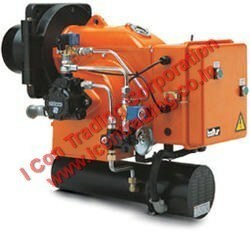 BT NSingle-stage heavy oil burners.Thermal output from 55 to 245 kW. BT SPNTwo-stage pressure drop heavy oil burners.Thermal output from 89 to 390 kW. BT DSNM-DTwo-stage heavy oil burners.Thermal output from 446 to 3907 kW. Looking for Baltur Burners Spare Parts ?